Working around children definitely has its perks. You have the privilege of gleaning beautiful little pearls of wisdom. So when Elliot, a rather mischievous 5-year-old boy in my Sunday school class, told me that “Boys must defend girls,” I was incredibly proud of him. What followed was his decree to punch the boys that hurt girls…and I must admit that I was equally proud of him. And when I told his mom, she was slightly shocked, but praised his gallant attitude with equal pride! Now you may be wondering why we both agreed with this 5-year-old’s philosophy and didn’t tell him to “turn the other cheek” as is so often preached. The reason is simple. Boys have a God-instilled desire to be a hero, to fight a battle, to save a damsel in distress, to live an adventurous life and to stand up for what they believe in. Don’t get me wrong – I’m not advocating unnecessary violence and I do think you can gain a lot of favour by simply turning the other cheek…but not always. There will come a day when a BIG action is required. When the day comes that the bully has gone too far and a battle is threatening, boys especially need to be prepared to fight back. I don’t believe that God wants our boys to be weak or walked over. These little boys will one day be men, and they will be in charge of business, politics, churches and their families. I don’t want to be responsible for bringing up a generation of kids who don’t know what to stand for and when to stand up for it. So when I see a 5-year-old boy with a sense of purpose who is standing up for what’s right, I will stand up for him too! Agree or disagree? 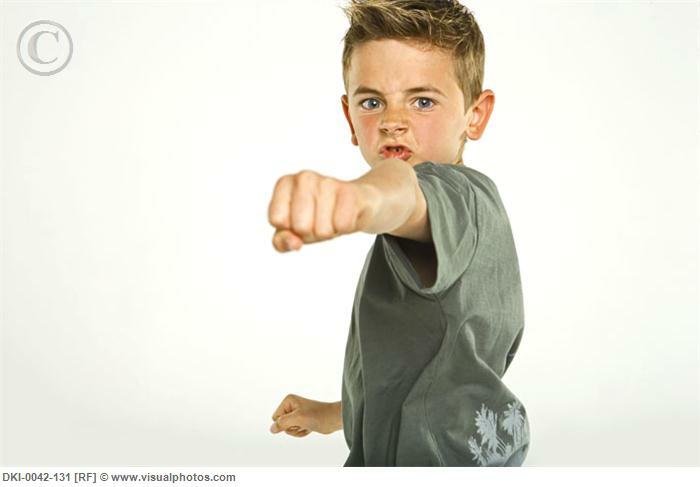 Is it ok for a boy to punch another kid for doing something bad? What would you encourage him to do instead? ← The Father’s Mandate: Fathers You Are Needed!